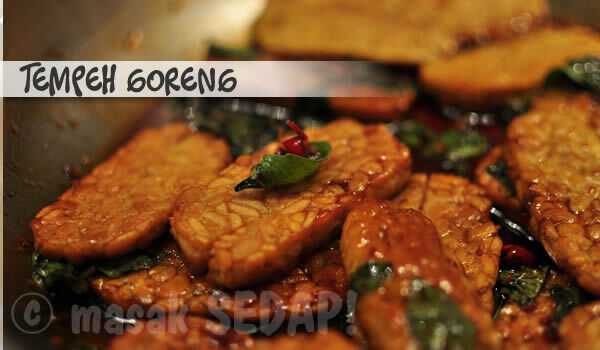 Tempeh goreng – Masak sedap! 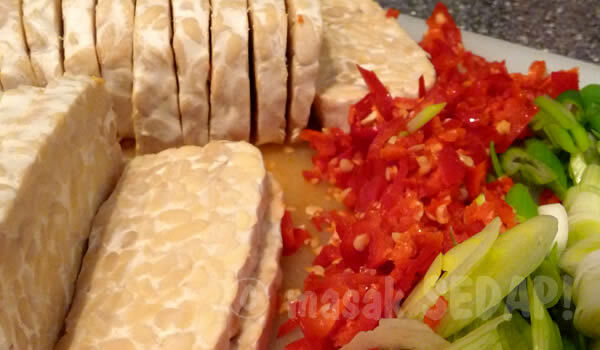 …not until one day, my hubby came home from the asian shop and took out proudly from the many plastic bags he brought, one pale block of tempeh. 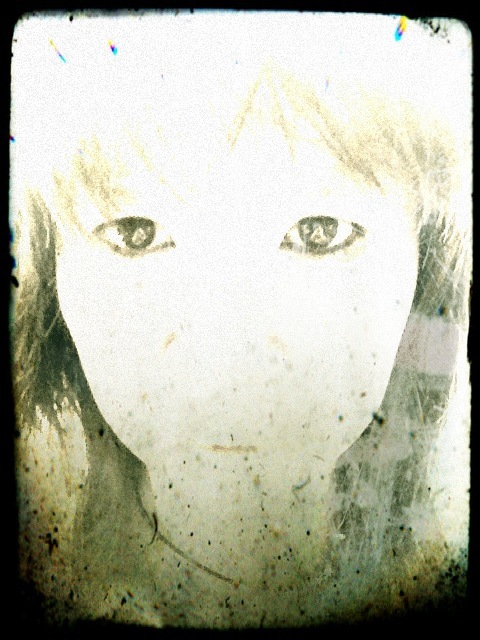 I raised my eybrows again and eyed him carefully. It was very clear, I was not going to touch this packet of fungus, and left it unattended in my fridge corner for the next few weeks. The weekend came, and the fridge was empty. Nobody made any sign of wanting to settle the groceries, nor were there any signs of hunger (I wonder, from too much air in the stomach?) 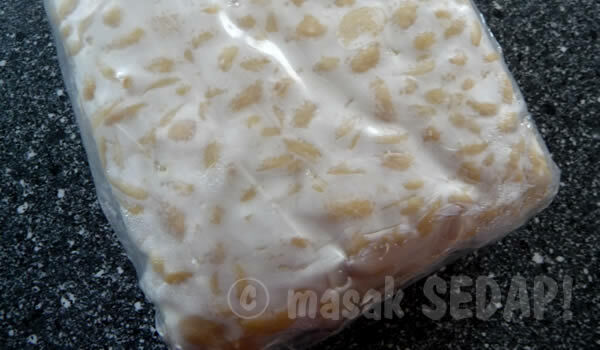 Again and again, I opened the fridge, and all I found in the fridge was this 10 by 20 piece of pale tempeh looking at me with all it’s fermented culture. I gave up. I was starving and yet, all too lazy to get out of the house to get anything else. I decided to give the tempeh a try. I opened up my indonesian cook book and looked for a recipe that was going to burn out all the fungus and maybe leave just those soybeans behind. … and found one! You won’t believe this – it was delicious! My hubby grinned and said that was one of the best dishes he has had in a long time! Flattered, and embaressed the same time that I had been so ignorant about this tempeh all along, I was sure that it was not the last time I made this dish. 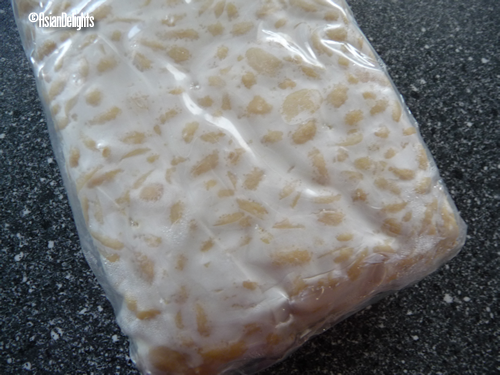 Tempeh is made out of cooked soybeans, and fermented in a fermenter starter, laid out in a cake form. It is indeed a hearty speciality of the Java islands, and now used in many vegan cuisines in many differant variaties. It is a healthy alternative to meats and provides just as much protein as a piece of meat would do. With this fermentation process, it makes the soybeans much more digestive. You can fry it, eat it raw, with chillies, with salads, soups or stew. Heat the oil in the pan. Once hot, fry the tempeh for 3 mins on each side on medium heat. 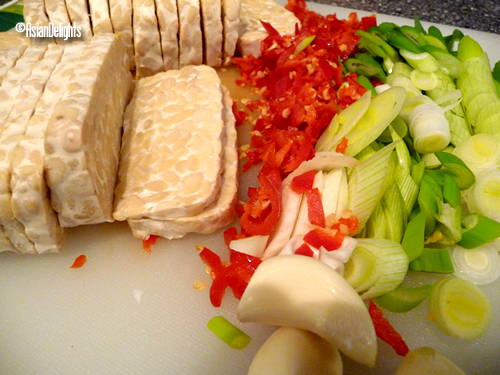 Once they are through, drain the tempeh on a kitchen towel from excess oil. In the mean time, heat the pan with the remaining oil (pour out excess oil!) Stir fry the spring onions, garlic until it is glassy. 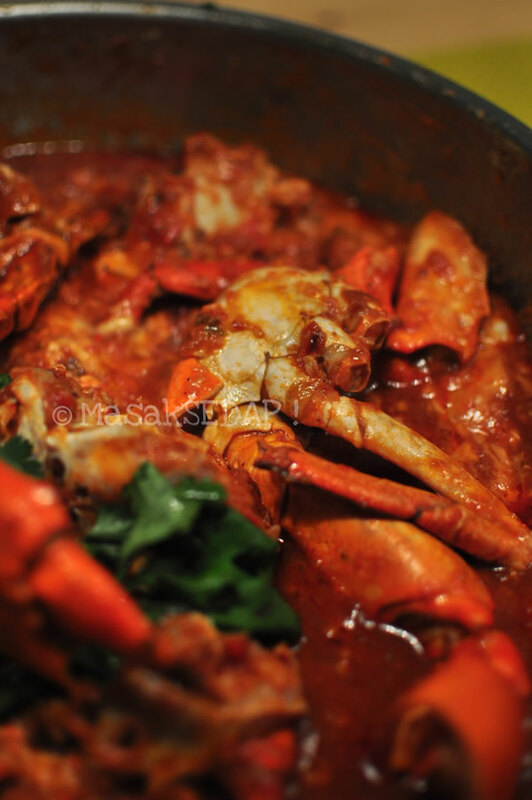 Add chilly or sambal, then sugar, salt and kecap manis. Cook in small heat until the sauce is thickens. Add the tempeh and mix it under the sauce for another 2 mins. Serve hot or cold and enjoy!